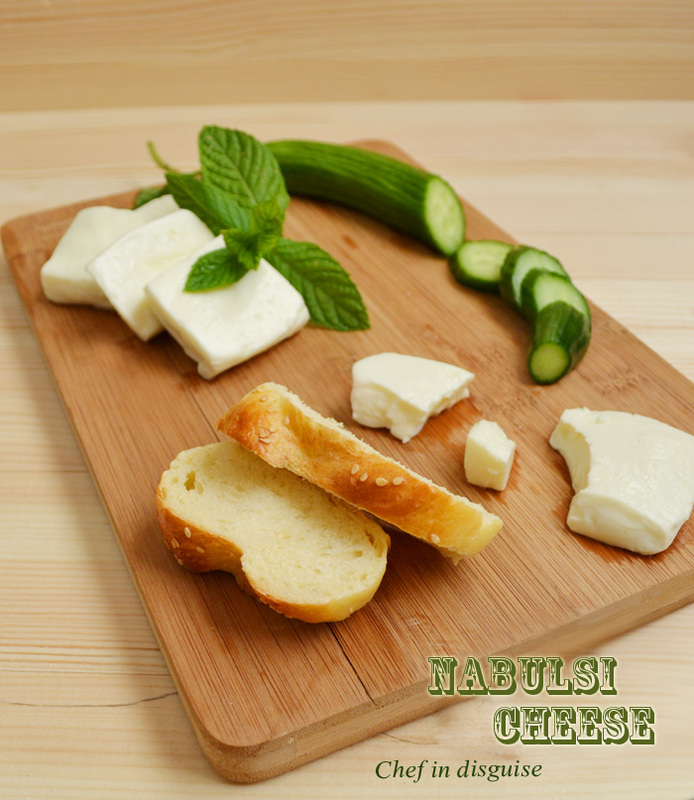 Nabulsi (or naboulsi) cheese is one of the most popular white brined cheeses made in the Middle East. Its name denotes its place of origin, Nablus, Palestine and it is well-known throughout Palestine, Lebanon, Syria and Jordan.Nabulsi cheese is produced primarily from goat milk but sheep’s milk can also be used. 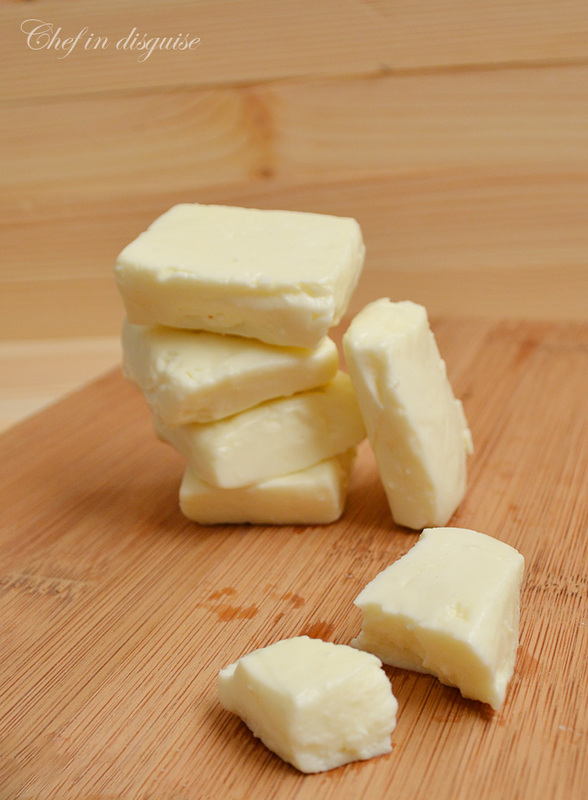 Nabulsi cheese is white and rectangular in shape. It is semi-hard with no gas holes. It becomes soft and elastic when heated making it idea for frying or grilling. Nabulsi cheese can be eaten fresh as salty table cheese, can be used as a stuffing for phylo dough, short crust pastry or a simple pita pocket. Fried in oil it makes a great appetizer, sweetened it can be used in different middle eastern desserts such as kinafeh or kataief. Growing up it was always my grandmother who sent us the nabulsi cheese we needed for a whole year. She bought it from people who have their own goats and are specialized in making this type of cheese. 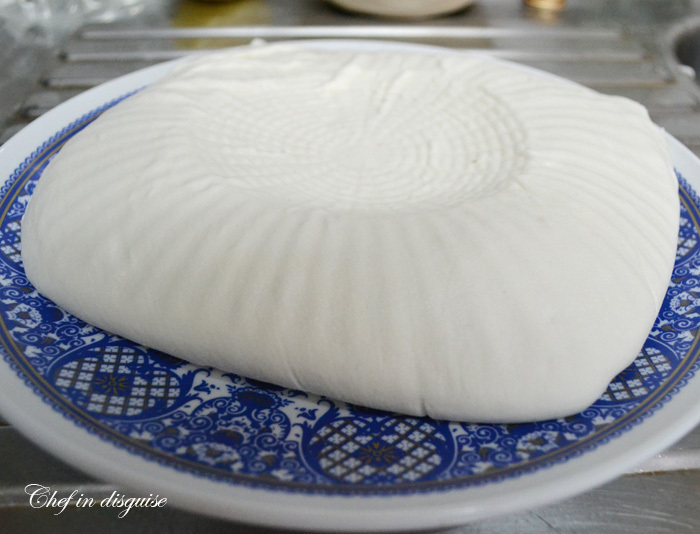 Then my parents decided to give making nabulsi cheese at home and the results were amazing, only they made a variety that is less salty and less firm that can last in the fridge for a couple of weeks as opposed to the firm salty nabulsi cheese that you can store at room temperature for up to a year. I am sharing both recipes with you today. 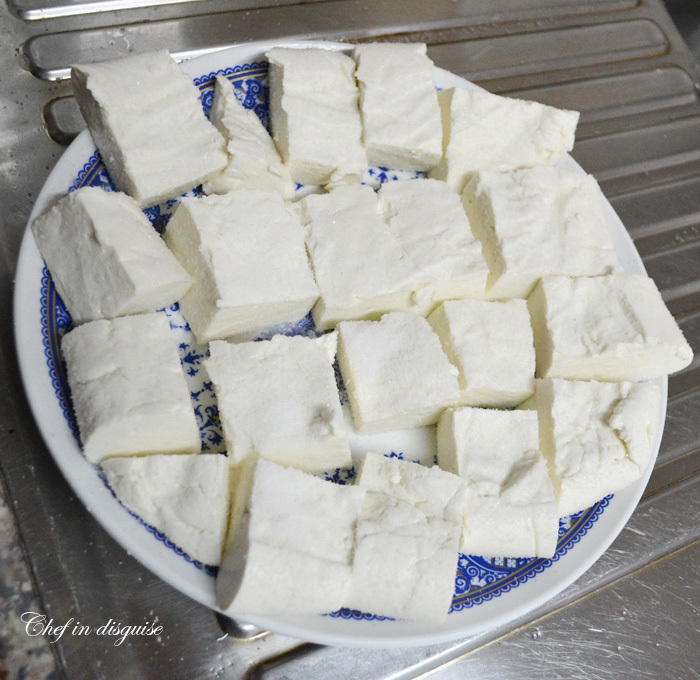 You can make Nabulsi cheese with fresh unboiled goat milk or sheep milk. Sheep milk tends to have more fat and more protein and more milk solids when compared to goat cheese. Sheep milk will give you a greater amount of cheese but goat milk will give you a better tasting cheese that will last longer.You cannot use ultra-pasteurized milk .The temperature and time combination is lethal to bacteria, killing virtually all that would be beneficial in cheese making. 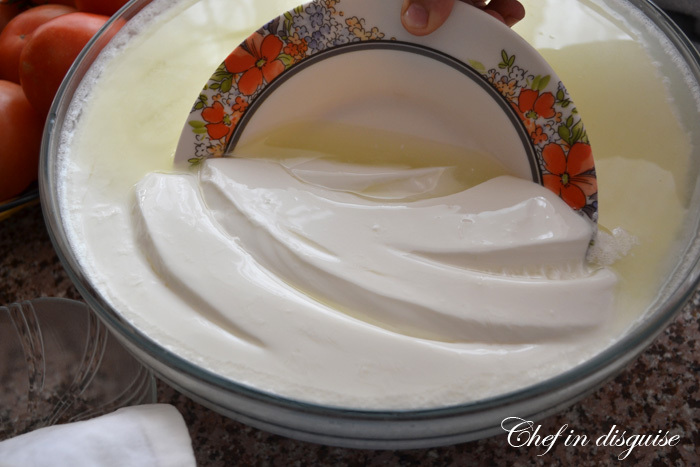 To make Nabulsi cheese you need to start with fresh unboiled milk as with pasteurization, boiling changes the milk in a way that prevents the formation of the large firm curds needed to make nabulsi cheese.The cheese will be boiled after it is finished to sterilize it. Using a plate of a big ladle transfer the cheese to a colander lined with a cheese cloth or a clean fabric with fine weave. 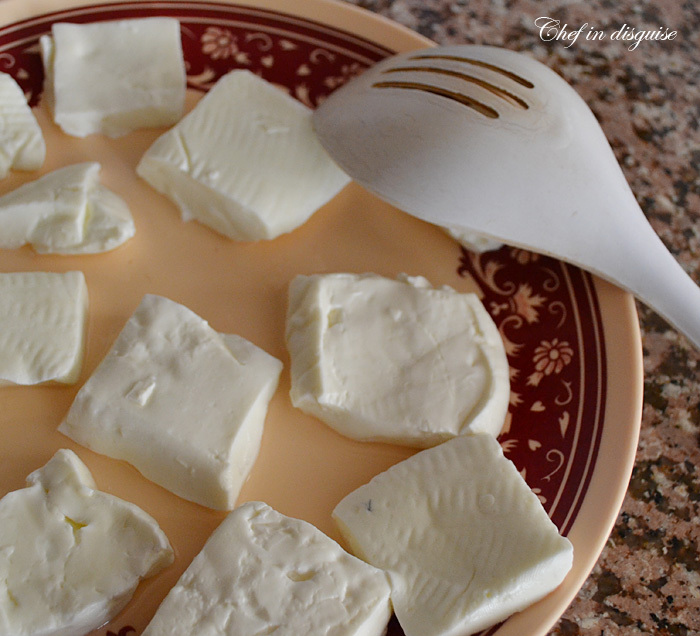 You want to keep the cheese curds as big as possible, that is why you use a plate or a big ladle. Cut into rectangles and sprinkle the top with salt. At this stage the cheese is still soft and needs to be handled with care. the salt will draw out more whey from the cheese and allows it to harden. leave the cheese undisturbed till evening, flip and sprinkle with salt and leave over night. The next morning flip the cheese again and sprinkle with a little salt and leave till the evening. 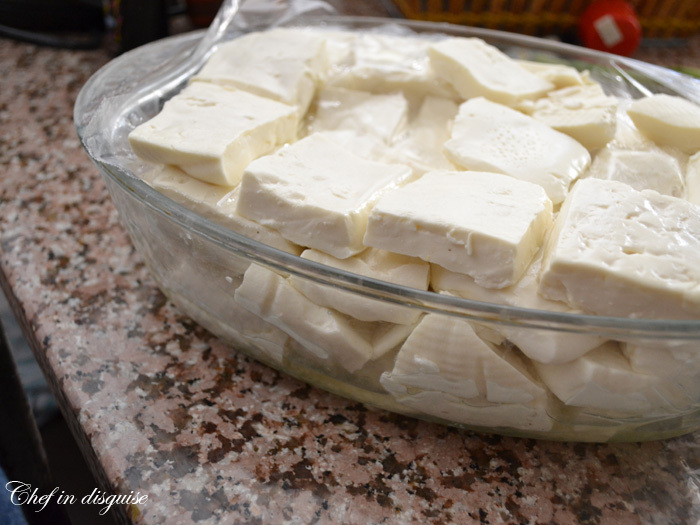 In the evening arrange the cheese in a container separating each layer with nylon bag that you have sprinkled with salt. Leave in the fridge for 3-7 days. During this time the cheese will continue to hard due to the presence of the salt. After 3-7 days your cheese is ready to eat, you only need to boil it first. To boil the cheese, heat water in a pot till it boils then add the cheese a couple of rectangles at a time, lower the heat and cook for 3-5 minutes. Nabulsi cheese made this way will last up to 2 weeks in the fridge. 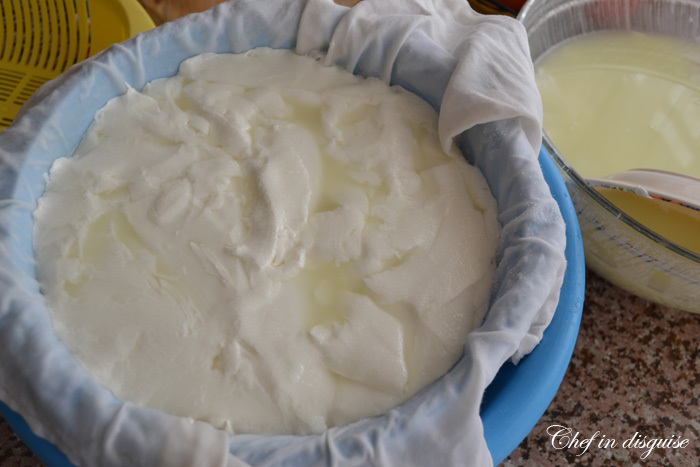 If you want to flavor the cheese you can add 1/2 teaspoon of mastic and 1/2 teaspoon of mahlab (both whole not ground) and wrap them in a cheese cloth or another fine weave clean fabric and add them to the boiling water after the cheese has set in the fridge. Another option would be to add only the mahlab to the boiling water and add the mistaka to the jar you store the cheese in. You slightly grind 1 teaspoon of mastic (you just want to break up the crystals a little) and sprinkle it between the layers of cheese in the jar. Store in a cool place for up to a year. Use of ultra-pasteurized dairy products. Over-heating the milk and thereby killing the live cultures. Using rennet that’s too old or not using enough. Not waiting long enough for the curd to form. 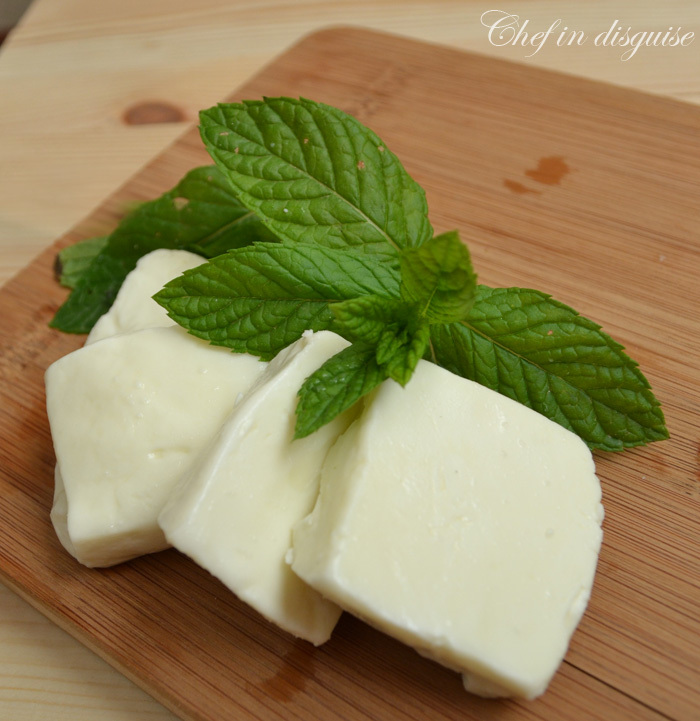 So you have made Nabulsi cheese and now you don’t know what to do with it? 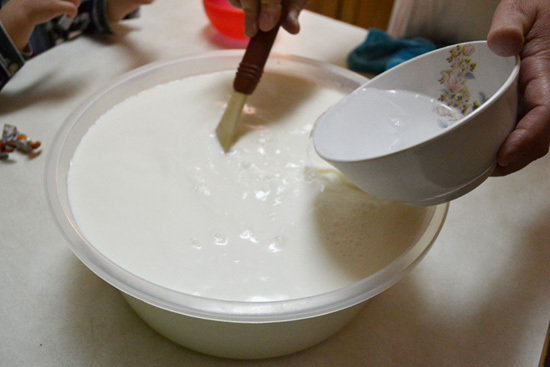 Posted in Arabic and middle eastern recipes, Cheese and dairy, How to, palestinian recipes and tagged breakfast, chef in disguise, food, goat cheese, homemade cheese, homemade nabulsi cheese, how to, nabulsi cheese recipe, palestinian cheese, palestinian recipes, rennet, step by step, vegetarian, white cheese, طريقة عمل الجبنة النابلسية. Bookmark the permalink. Just to put a smile on your face and because your recipe is excellent!! I like to come here.I learn always something new. Thank you. This was a fascinating post. I’ve never made cheese using rennet, though I have long wanted to. And your step-by-step instructions make it seem so easy. I can almost taste this cheese as I read this post. Thank you. Awesomeness! Pinned n shared, n shared! I love your site! I just never tell you which makes me one stinky fan 😦 But not today! 🙂 Thanks for all your work in bringing us some great memories n parties in our kitchen! You rock! What a wonderful post, Sawsan! I had not heard of or tried Nabulsi cheese, but now I really want to. And you make the process sound like fun…I love that you had some helping hands there at the beginning of the process. 🙂 I also love the look of the fatayer jebneh pastry. Thanks so much for sharing! It was my mum’s hands actually, I took the first couple of pictures in my parent’s house, the rest were at my home. Thanks for the cheese making lesson and information about this cheese. I would n’t be making this cheese anytime soon, but I sure would love to eat some fleer falahi and fatayer jebneh, they look so delicious. Thank you for the links,That mattat paneer sounds really tempting! Thanks for the suggestions. I do appreciate them. you did not just make your own cheese?> What! Girl, I am totally impressed! Ahhh…..cheese. I need to try it this summer. It’s on my list. I just find it so intimidating, but you and Chicago John just make it look so good and not too hard. We’ll see…I’ll keep you posted. Gorgeous photos Sawsan! This looks awesome, Sawsan. I am definitely intrigued by home made cheese and I have already passed the entry level John’s home made ricotta! I like this one that it’s not brined quite as much as feta, perhaps this will be my next attempt at cheese. I loved your Fteer falahi — my second attempt was much more successful (I made it at the cottage on the long weekend in May, post to come soon). 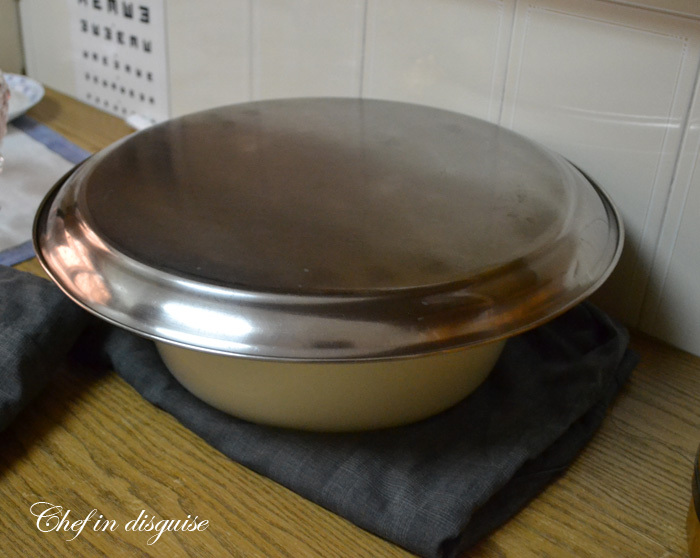 all your dairy posts brought back such sweet childhood memories, of living abroad and having hanging cheesecloths to make labneh or having big pots and bowls in the kitchen corner under blankets… bringing a bit of home with you where ever that may be. Oooh, a new cheese! That always makes me happy. I definitely need to get on this cheese making bandwagon! You will have loads of fun with cheese Courtney and it tastes so good! I love making cheese but I’ve never made this one. I hadn’t ever heard of it. Sounds delicious though. You’re right about homemade cheese tasting fantastic. Very impressive. You have so much patience. What is your favorite dish to make with this type of cheese? Thank you so much Bam. I’d love to try that … is it anything like Feta Cheese? 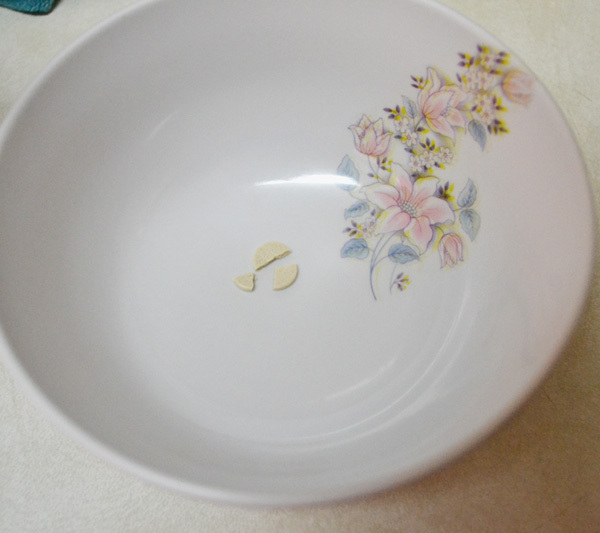 For those who can get the fresh unboiled milk, this is an inspiring post. You always have such wonderful tutorials, Sawsan. If you follow my cheese recipe the outcome would be very suitable for kunafeh. Your second choice would be to make the cheese that lasts a couple of weeks in the firdge and this one would be perfect for kunafeh, you can either boil it for a couple of minutes to reduce the salt or soak it for a couple of hours and you are good to go. The cheese will be soft and streachy. Hi Sami. I’m also in Australia – in Melbourne – and can recommend some great places for knafeh here if you’re interested. Great idea through to use Sawsan’s recipe at home! I’m sure it’s delicious. I am difinatly interested in Knafe Nabilsiyah and not the lebenese type. I look forward to hearing from you. Yasmeen, help! I want knafeh nabulsiyeh in Melbourne! Where can I get some? As-salam alaykum sister! Where did you find rennet? I live in KSA and I’m not sure where to look. Thanks! I buy the rennet at the pharmacy here. Where exactly in KSA are you? As-salam alaykum wa rahmatullahi wa barakatu! I live in Dammam, alhamdulillah. Thanks for the pharmacy idea; that is probably the last place I would have looked! but I don’t know them and have never tried their cheese. im zeina hamze from lebanon but now i live in Belize..
one question..here i can’t found sheep or goat’s milk..can i make it with powder milk..or cow’s milk(liquid)..thank u in advance..
انا بعمل جبنة من جليب البودرة..بس اكيد مش متل ال بتعمليها..بعملها بالخل(استعملت المنفحة حصلت على نفس النتييجة ) استعملتها بالكنافة بس ما بدوب لوحدها الا اذا استعملت الموزريلا معها..طيبة بس مش متل الجبنة النابلسية او العكاوي..
الله يعطيكي العافية يا رب على الموقع الرائع…. Salam Sawsan, great recipes and tips, when you boil cheese to store I think, remembering the old days back in Palestine watching my mother and grandmother on our annual cheese boiling rituals add ” مستكه” to the boiling water for cheese to give it special aroma , you could also add black sesame seeds to cheese “حبه البركة” to give the cheese a distinctive flavor !. can i use cows milk? Salams Sawsan, What is rennet called in Arabic? Im in Jordan and would like to know where I could purchase this from. Thanks so much Sawsan. Another question Ive got access to Cows milks but if I didnt could you make it with powdered milk? I have never tried it with powdered milk, not sure if it will work. I read once that you can use powdered milk in cheese making but you have to add heavy cream to it but I never tried it. Hello there! I was wondering if you or any of your followers out therr would know where I can buy knafeh nabilsiyeh in Melbourne? I’m dying to have some, and all the shops I stop at only have knafeh with ishta 😦 thanks for the help, your food looks great, keep it up! i wanted to know when can i add the habbit el barakeh to my cheese when making it. at what point should i put it? I have just attempted to make my cheese as you directed, for some reason it didnt quiet hold after 2 hours as you said. i used 1 gallon of milk to 1 whole rennet tablet to make sure it holds, but i will be honest with u i think my milk may have been hot. should it be warm as if u r warming milk for an infant? I would like to call you in amman and better undwerstand. I am from amman too if you dont mind my email is jeninelhindi@yahoo.com if you would like to hit me with an email so i may contact you for better advice. Thank you so much for this link. I have been living in Australia for 25 years and there is no where Nabulsi cheese. I drove over an hour today to get some Raw Milk (cow milk) no goat or sheep is available unfortunately, I know it’s not the same but as we say el ree7a wala el 3adam. My question to you is if I decide to take the short life for the cheese (few weeks) when can I add the Mastika and the Mahlab is it during the boiling ? and once we boil it do I use a jar and the brine for storage? Many thanks in advance for your help . You have two options, you can tie the slightly crushed mastika in a small clean cloth and add it to the boiling water and then take it out and add it into the jar you store the cheese in. Or you can grind some mastika (i teaspoon mastika with 1 tablespoon salt) and sprinkle that on the cheese as you as making it instead of plain salt. Once you boil the cheese, if you plan on eating it within a week to 10 days just place it in an air tight container and keep it in the fridge, no brine required. You need the brine only if you want to store it for a long time. Best of luck with making the cheese, if you have any more questions please let me know. I am more than happy to help. Firstly, thank you Sawsan for your replying so quick and I will definatley let you know how my adventure went. As for Rawan all sweet makers in Melbourne are from Tripoli and the people of Tripoli like Eshta more than cheese and even when they make cheese Kenafa they use Sweet cheese which is pretty much has no flavour. The best way to make Kenafa Nabulsiya in Melbourne has to be at home this is what I have been doing for years and it taste great and the closest you will get to Nabulsiya. Buy the Katifa from a middle eastern shop and colouring from Safeway or coles. For the cheese buy Akkawi cheese from middle eastern shop and mozzarella for the stretching part. Cut the AKKAWi and Mozzarella and soak them in water and add mistika and mahalab to the water (you can add blossom or rose water to your liking). Drain out the water and create your Kenafa . Result is amazing and it is the closet you will get in look and taste to Nabulsiya. Thanks Hussein! Would you by any chance know which shop to go to for akkawi cheese, I have only been fortunate enough to find halloum. The two shops below you can buy Akkawi Cheese in Melbourne from. Buy the one with the Blue Label (chetoura) with full salt do not buy the Asala one which is low in salt as it’s low in flavour. Just to let you know that the recipe went well thank you for all your help and the results were great. I think I might’ve pressed too hard on the cheese so it’s slightly flatter than yours and also I had another question? Some of the cheese while it was in the fridge (for 5 days) the edges of the cheese had a blue colour is that normal or possible to happen. The thickness of the cheese depends on how wide and thick your strainer you press the cheese in is and how long and how hard you press it. Hey another question I didnt necessarily leave it out for 2 days like u said. Does leaving it out the fridge give it a taste? I’m interested to no why does it have to be outside the fridge for those 2 days? I wanted to say thank god I found your website we love Nablus cheese and I just wanted to say the recipe came out amazing but one thing how come it has no flavor. The cheese from Palestine has a taste that’s amazing is it because its cows milk? If I used goat will it have a diff flavor. And can I use store bought goats milk will it work? I am sooooo happy ok I’m going to try شكران one more time and tell u the results. This is sooo fun:).. Ramadan Mubarak inshallah you have a good one. I am so sorry I seem to have missed your question. Can you send it again please? Today i tried the pita bread , Oh what a delight i felt i’m in Amman! I’m gonna try to make the cheese today but I was wondering if the Pasteurized, Homogenized milk would do (that’s what is written on the milk box)! 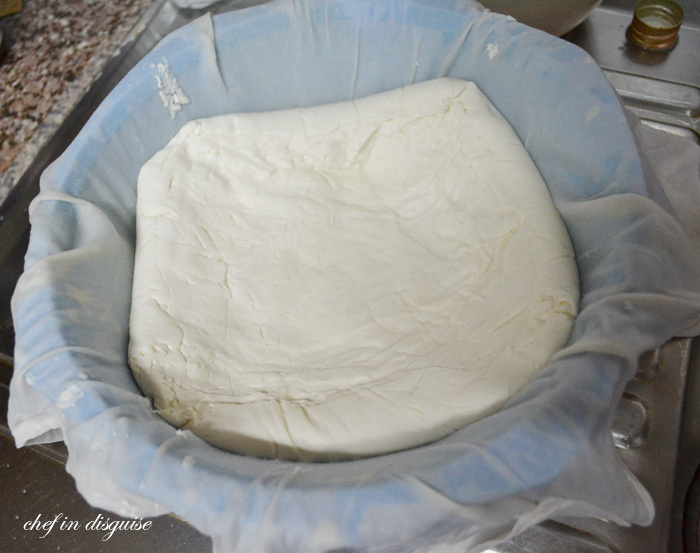 I’m happy, happy happy to find your blog, I have a bit scary, but I want to make this cheese. A boy walks past my house with goats and sells milk. THANKS FOR SHARE! Awesome blog , thank you so much!!! – How much weight is “a heavy weight?” The same weight as the cheese (1 gallon of milk = roughly 1 pound of cheese)? 5 pounds? 25 pounds? The amount of weight makes a HUGE difference in the outcome of the cheese. – Boiling/ultra-pasteurizing the milk does indeed make for a milk that won’t make curd, but not because it destroys the bacteria. The problem is that the excess heat alters the protein structure so that the proteins won’t cling to each other to form curd. Five pounds. Thank you! 🙂 I’m sure this will be delicious tonight. 🙂 Kol tuv (all good). He does it from home so you order and pick up . I live in Pakistan and i don’t know if i can find rennet tablets.What should i do to make this cheese if rennet is not available? Sadly you can’t make this cheese without rennet. Maybe you can order Rennet online ? Yes I guess, I will look around pharmacies. Thank you so much. You blog is simply amazing. You could ask your local butcher if he will save a calf’s fourth stomach to you (a veal calf, that has only ever had milk, not grass). Also look into ordering vegetarian rennet online, if you want to be sure that your cheese is halal or kosher — rennet tablets aren’t necessarily made from rennet that was slaughtered in a manner that is consistent with halal/zabiha. Vegetarian rennet comes in liquid form, and should never be frozen because it will stop working; but it also should not stay very warm, so order it in the autumn before it gets cold enough to freeze during the shipping. Salam ..I live in Pakistan…and i coudnt find akkawi cheese….can u suggest me alternate cheese..thanks. If the milk is pasteurized it will not work.Sadly pasteurization denatures the proteins in the milk in a way that makes it useless for making this kind of cheese. As for the rennet, you can use any kind you like, just stick to the manufacturer’s instructions about how much to use. Masha Allah Sawsan, impressive.Extremly happy to find your blog,your recipes are from the heart.After moving to Australia,i was looking for an authentic recipe for Nabulsi cheese and luckily found yours. Immediately ordered the rennet tablets online,searched for the unhomogenized milk.Yesterday i received the rennet,ignored everything even feeding my family n started the glorious experience.I was so excited that i couldn’t sleep to watch the cheese birth.Alhamdullah ,right now i have a beautiful block of cheese waiting for cutting n boiling n couldn’t wait to express my thanks.Sawsan,I left the pan for 3 hours to have the clean break but it was not easy to scoop out the curd .Do you think the longer u wait the harder it gets?what about cutting the curd into cubes ?will it make the draining easier?My husband just tasted the cheese after cutting ,said WOOOOOOOOW.Thanks again. I think fresh milk doesn’t exist where I am for health reasons…have u ever tried to make it with supermarket milk and see if there alteration that can be made to come up with yummy cheese?and no need for boiling after..
I’m dying to make these types of cheese but is it impossible with normal milk? Hi, this recipe looks fantastic and I’m going to get some rennet and give it a go! I went to Lebanon 5 years ago and stayed with a friend’s family near Baalbek. The grandmother and aunts of the family would make a table cheese that became my favourite ever too, however when I asked how to make it, they just shrugged and said, “boil the milk” ! Also they called it Labneh, but it when I looked for Labneh at home it was obviously not the same. I think it was Nabulsi and you have now made my dreams come true! Thank you! My question is; doing this extra step would change any thing to your Nabulsia making process ? does it require any more things to do ? I am not sure if adding the yogurt would help, I think it will give you a result closer to feta cheese. Have you tried adding mastic? my problem is that every time i boil the cheese, it melts ! It becomes almost a liquid. To solve this thing i tried aging it for 15 days following your instructions. I left it out for 3 days not 2 ,salting every 12 hours and 12 days in the fridge. what would be the mistake i made !? Then allow these to strain and then press them to extract as much whey as possible before you start to add the salt and age the cheese. The second suggestion I have is to add some powdered milk to the milk before you start, this may give you more milk solids which will help the cheese hold together better. As you can see from the video, this lady adds heavy whipping cream, you can try that too to increase the fat content in the milk, this could also help with the flavor. Thank you Sawsan. I will try adding cream and increase the weight for pressing. appreciate your help. but you are like adding salt to the wound with the video you posted !!!!!! they showed Ka’ek and I feel like having some . You can make it at home easily. Just remember to cover it with a clean kutchen towel when it comes out of the oven while it cools to keep it from drying out,especially if you plan on storing it for later. I really enjoy reading your recipes and will definitely try some! This Nabulsi cheese reminds me of Haloumi cheese which I eat a lot for breakfast when I was in north cyprus a couple of years ago. When I found someone who has fresh goat milk I will try it inshaallah. Is there another reason for boiling except for sterilization? I made it and is in its 2nd day of fridge camp. Hi Sawsan ,Thank you for your well explained recipe , please i like to know is the result of your recipe is ` stretchy ` ? because I will using it with Nabulsi Kunafa sweet , I tried out a lot of recipes but not a lot of stretch ! Thank you for the specific directions. Making some as I write. After 2 hours has not separated. Used thermometer to warm th 38 degree and using unpasteurized goats milk. Thinking May needed more rennet so trying again with just over 1/4 tablet and mixed better in milk. Fingers crossed! Made it in a heavy pit but not stainless steel, has a non stick surface. Do you think this is causing not to separate? If doesn’t work tonight, getting more milk tomorrow and will try in stainless steel. Yum! Any vegetarian alternative to rennet? I don’t think it’s available in India though. Thanks. Will be sure to try it! How did you store it ? in the fridge? outside? in an air tight container? is it covered in liquid?